The challenges of the family caregiver are gaining more visibility. But there’s one part of the family caregiving story that still needs much more attention: the struggles of the family caregiver who’s also maintaining a job. New data is giving us a clearer picture of the impact of caregiving on work-life balance, as well as employee productivity and performance. Let’s review that data, and explore opportunities for family caregivers to get more support during their 9-to-5. Working family caregivers are in good company. An estimated one-fifth of today’s working Americans are also family caregivers, which means they are, in essence, juggling two jobs: a paid career and an unpaid labor of love. The stress of this balancing act is real. Working caregivers don’t want to let anyone down – not at work or at home. According to the AARP Public Policy Institute, 69 percent of working caregivers report having to change their work schedules, decrease their hours or take unpaid leave to meet their caregiving duties. Managing two demanding roles can take a toll on working caregivers, putting a strain on their emotional and physical health and their financial well-being. Not to mention the consequences for their employers in terms of lost productivity. The data about the impact of the dual role is compelling. Choices for family caregivers aren’t easy. When work requirements conflict with caregiving tasks, the family caregiver is forced to make a choice. Family often wins out, and the employer can face significant losses. Statistics show employers lose tens of billions of dollars each year due to absenteeism, reduced work hours, workday interruptions, costs associated with replacing employees who’ve left jobs due to caregiving, and increased healthcare costs due to caregiving’s physical and emotional toll. Employees, too, face impacts from these concessions, which can derail their careers, affect their earning potential and diminish their financial outlook. It’s clear employers must consider ways to help employees be more productive by supporting better balance of work and caregiving responsibilities. Employers like Palo Alto Software, Pitney Bowes, Emory University, caring.com and pharmaceutical companies Pfizer and Astellas are beginning to do just that. Collaborating with employers can make a difference. Family caregivers can take action to influence these issues. Start a conversation. Employers can’t help working caregivers if they don’t understand their needs. Reinforce your continued commitment to your work, but be upfront about your caregiving situation. Increased awareness and understanding of family caregiver challenges can improve the potential for better balance of responsibilities at work and at home. Develop a plan. If a family caregiving role is likely to be a long-term situation, consider proactively documenting a plan for how you can meet your work responsibilities, and how flexibility can help you remain productive. Engage human resources. Explore and consider all possible support options with your company’s human resources team. Alternative work schedules are becoming more commonplace, and can include flextime, compressed work hours, telecommuting and job sharing. Some companies are also beginning to offer benefits – often through Employee Assistance Programs – that can provide support or connect family caregivers with services like stress management programs, counseling, legal and financial assistance, respite care and support groups. Recommend programs. Influential organizations are spearheading efforts to support working family caregivers. Urge your company to get involved in programs like the new partnership between AARP, the National Alliance for Caregiving and Pfizer. Their Respect A Caregiver’s Time – or ReACT – program provides educational resources, online tools and research to help managers and human resources executives take action to support employee caregivers. Organize a support group. With 20 percent of the workforce playing the dual role of employee and family caregiver, chances are you have coworkers who share your challenges. Consider connecting with them through a support group, network or other collaborative activity. Know your rights. If your caregiving responsibilities require you to step away from your job – even temporarily – understand your rights. The Family and Medical Leave Act (FMLA) may apply to your situation. 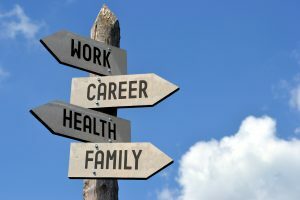 Typically, employers with 50 or more employees must comply with FMLA, which entitles eligible workers to 12 weeks per year of unpaid leave for family caregiving. Taking this leave would not impact your health insurance coverage or job security. More information can be found on the U.S. Department of Labor’s website. Be aware of public policy. President-Elect Donald Trump highlights the needs of family caregivers in his plan for the first 100 days of his administration. Specifically, his “Contract with the American Voter” proposes the Affordable Childcare and Eldercare Act, which would allow for tax deductions for eldercare expenses and create tax-free Dependent Care Savings Accounts for elderly dependents. While the task of juggling work and family caregiving can be overwhelming, there are resources that can help provide a better balance. Working caregivers shouldn’t have to feel like they are going it alone. The help you need is out there. FirstLight Home Care can be a lifeline for family caregivers. If you need advice about a caregiving issue, use our free Just Ask FirstLight service to connect to an expert today. Or find a FirstLight location to learn more about how we support family caregivers and their loved ones. For more tips and tools for family caregivers, follow us on Facebook.